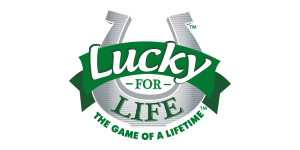 With a chance to win $1,000 a day for life, what’s not to like about Lucky For Life? It features nine prize tiers in total and overall fantastic odds of snatching a win. And with bi-weekly draws, you get plenty of chances to play and take home that sweet jackpot. Lucky For Life has drawings twice a week – Mondays and Thursdays at 10:38 PM ET. Be sure to purchase your tickets before 9:30 PM on draw nights to qualify for that evening’s draw. To play Vermont Lottery’s Lucky For Life game, a player must pick 5 numbers from 1 to 48, plus an additional Lucky Ball number from 1 to 18. Quick Pick lets the computer randomly choose the numbers for you. You can also play the same numbers for up to 20 consecutive draws. Lucky For Life costs $2 for each ticket. For the top two prize tiers (“For Life” prizes), winners will receive their prize payments for their lifetime or 20 years, whichever is greater. Unless, of course, they choose to go with the lump sum payment option.